On the last page, I left you at the door of the mosque, and thinking about Joe Simpson and his father. It was quite a long one. Because what I&apos;m writing about here is very important. And that&apos;s OK. It was good to see him, nodding modestly and smiling, as he was treated like a guest by these people he&apos;d despised. I don&apos;t know exactly what he made of it, but I&apos;m pretty sure it had some kind of impact. The thing I want to draw your attention to is this: conversations like that don&apos;t just happen. I&apos;m a big fan. 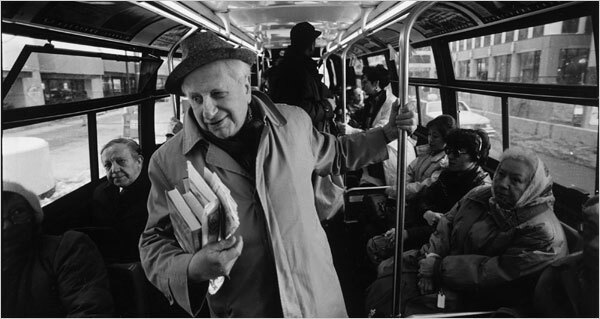 If you get the chance, you should read Terkel&apos;s book Working, about the extraordinary experiences people have, just doing ordinary jobs. But I&apos;ll tell you about that another time. While they&apos;re thinking: Who is this character? How can I escape?!! If you haven&apos;t done it before, you might need help. But Terkel did it a lot. He had practice. They&apos;d got something off their chest – something they probably didn&apos;t often get the chance to say. I&apos;ll tell you about it some time. I&apos;m coming to that. It&apos;ll soon be clear. He&apos;s a an author and musician, and a very funny guy. He used to be a school teacher, running a regular cabaret near his home in Brighton, and doing odd bits of broadcast for BBC Radio 4. Eventually, he became so successful at all those other things, he jacked in the teaching. David&apos;s response was to set off round the world looking for Utopian communities. And he found that, while he&apos;d been away, his own neighbourhood in Brighton had been part of a Utopian experiment. If you did, I strongly recommend David&apos;s book. But I&apos;m not an idiot. It won&apos;t be easy, because people will resist. Like I did, back in that drama class. After all, Brighton&apos;s “muesli mountain” (where David lives) is quite unusual. Other places might need a different approach. But it&apos;s worth trying, isn&apos;t it? It&apos;s even like that in the offices where we work all day. So for people in offices too, conversations won&apos;t just HAPPEN. I&apos;m cheering you on, but I don&apos;t have time to be part of a conversation revolution. On the final page, I&apos;ll tell you how. You&apos;ll love it. At least, I think you will. If you&apos;ve ever felt awkward in conversation yourself, and wished that people in general were better at talking to each other. Most of the examples I&apos;ve given so far have been about men. The truth is that pretty well everything I&apos;ve said can also be said about women.